You are here: Home / Advertising / Visa Spending Survey Invalidated: Stats Are Bogus, Yet No Retraction? 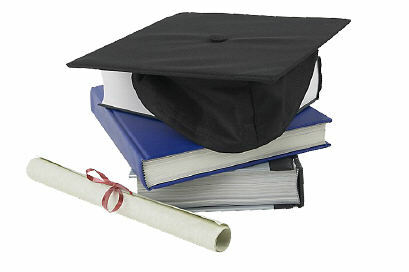 May 30, 2012 Before we ramp up with the next surge of ‘graduation spending’ stats or infographics citing what ‘media’ deem to be ‘credible sources’ without diving deeper into fact checking, I’d like to ask media pundits, where is our collective knowledge gain? We’ve got far more than 22 pages of Google results citing ‘junk science’ as fact from reputable news organizations sans critical thinking skills, before we even get to the blog forums picking up the story. Now, when someone seeks info on ‘prom costs’ searching the internet for ballpark estimates, they certainly won’t find our little nonprofit Shaping Youth calling out the behemoth Visa for sloppy data, they’ll find the “Polly Wants a Cracker” parroting of a sensationalized headline with a long and lasting digital footprint and gulp it down in “it must be true’ form. There’s a David and Goliath aspect to debunking a major money company’s ‘data’ by calling Visa to task and asking them to ‘fess up’ and correct their own propaganda, but it’s not happening by any major ‘mainstream media’ news source. Instead, it’s the social media forums, bloggers and parenting communities shaking heads and comparing data incredulously. The only way you can get even a smidge of the truth is to Google “prom spending myth” otherwise it’s Visa junk science as ‘fact’ across all channels. p.s. I DID allow plenty of time for a ‘call back’ in my repeated outreach to Visa and the polling company GfKRoper Omnitel, and it’s been a couple of weeks since I posted the initial critical thinking analysis using my own two months of data. No word. Silence. Bupkiss. Nada. “A closer examination of the data by TODAY.com shows that the widely reported Visa survey, conducted by GfK Roper, has some serious flaws. For starters, the survey results “based on 1,000 telephone interviews” actually ruled out 741 of those interviews because they had no teenage children, and 85 were eliminated from the results because they were “not sure” how much they were spending. The Visa survey also ignored the responses of 55 people who said they planned on spending nothing for their teen’s prom. That left just 119 survey respondents — not nearly enough to draw conclusions about the average spending of all American parents. And 61 percent of those people said they would be spending $500 or less on prom. 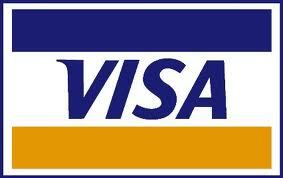 So how did Visa come up with the eye-popping figures on average spending? It’s possible a few respondents skewed the results by saying they were spending $5,000 (the survey’s maximum value). Roper and Visa did not respond to questions about why the average excluded those who said they are spending nothing. Please, pretty please, take all the graduation media tips about mile high consumerism and “keeping up with the Joneses” with a heavy dose of salt. Research the researchers. Survey the surveyors. Critical thinking skills and social media are consumers primary tools to not only GET a reality check, but to help provide one for others. Last thing we need is a nation of ‘sheeple’ using the herd mentality to ‘baaaah’ sheepishly into the ‘buyyyy’ zone.